If we look at how people communicate or engage with each other, it has evolved in the last decade from SMS, calls, mails, Skype, social to now WhatsApp and likes. In comparison, the enterprise communication piece looks like a dinosaur. Enterprises too needed a rescue from the ultra ineffective e-mailers, intranet portals and other web systems they used to engage with their employees, distributors, customers and groups that matter. With today’s business scenario where people are always on the move and businesses are geographically spread, it needs a mobile first approach. With no concrete solution, enterprises (small and big) resorted to WhatsApp for their communication needs. However, not meant for businesses, WhatsApp had limited features, lacked security and zero analytics. “On one particular meeting with the CEO of a bank, he asked me ‘kuch whatsapp jaisa hai kya?’ (Do you have anything like WhatsApp?). He wanted a secured platform to connect with his various branches and his people,” said Ashwin Roy Choudhary, Founder and CEO of Mobcast, one of the enterprise parallel of WhatsApp. Founded by Ashwin and Anup Burade, both in their 30s, MobCast was incepted in 2014 catering to this need for enterprises to connect. Mobcast is basically a platform for effective employee engagement and training. Using Mobcast, enterprises can easily broadcast rich content like product presentations, management videos, event invites, collect feedback and share announcements and news via a mobile app that resides in their employees’ device. For all the broadcast sent, the users of the app receive a notification (like Whatsapp) making it un-missable. Using MobCast, one can broadcast – videos, event invites, audios, images, office docs, PDFs. One can also run surveys and conduct quiz. Other platforms similar to Mobcast are TeamChat, Flock, Slack, HipChat, Microsoft’s Yammer, Cotap, Campfire, TigerText and Fleep – to name a few. All these apps have their own features which differentiate them from each other and make them as a better alternative of WhatsApp for enterprises. For instance, ‘made-in-India’ app, MobCast allows content in local languages. The platform also supports content in any language. “During Elections the NCP (political party) had used our platform to engage with their 10,000+ Karyakartas with over 1300 content sent in Marathi,” told Choudhary. Another similar app Avaamo, which raised $6.3 million seed funding last year is another alternative for the enterprises. 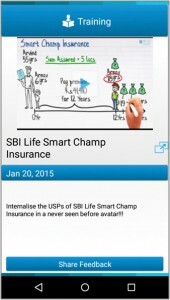 Founded by Ram Menon and Sriram Chakravarthy in April last year, the app offers users both a free and a premium service. 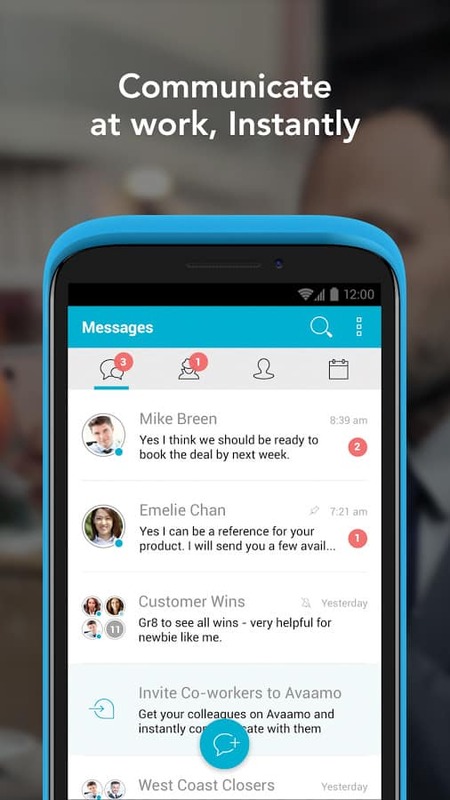 Like most enterprises chat apps it offers one-to-one and group messaging options. Users can also send voice clips or messages. Moreover, this app allows one to attach document (on cloud) the links to the messages, just like e-mails. It’s also possible to send directions to business meetings from within the app. The premium service will provide businesses greater control over their communications, including a dashboard illustrating active, non-active, inactive and users who have deleted the app from their phones. Also, businesses have the option of downloading all data shared on the app as and when required using the Avaamo API. It also provides the option to send out alerts to specific groups, like employees of a particular department or city or even employees using a particular type of phone. With the premium service businesses can also track message traffic. 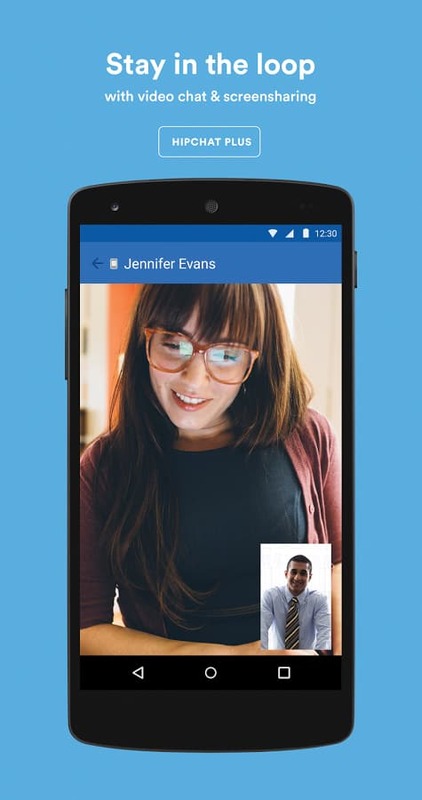 Infact, Riva FZC, which runs low cost international calling app Ringo, also launched a business chat service Flock last year. 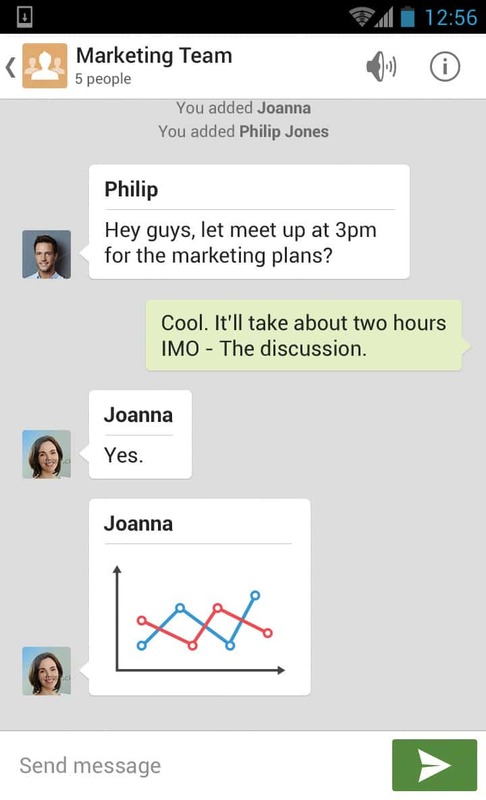 The free service allows businesses to chat between colleagues and team members and group chatting. 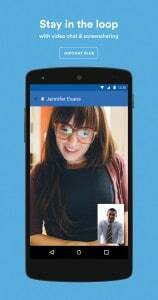 The Flock app is available across platforms – Android, Windows PC, Mac, Linux and iOS. Riva is founded by Bhavin Turakhia (CEO), who also founded Mumbai-based web products company Directi. The app is free-to-use as of now. 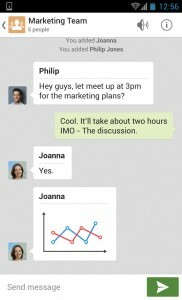 Owing to the fact that Flock allows large number of users in a group, the app makes group conversations easy with @mentions. By typing ‘@‘ in the input area and selecting the contact from the list of group members will let the mentioned contact see their name highlighted in red. Also, new members of the company get automatically added to everyone’s contact list, and are available to chat when required. Mobcast supports delivery of content on all the devices. It identifies the device capabilities and accordingly delivers content. For users with Android, iPhone and Windows – Mobcast has an app where users get an immediate notification through which they can access any new content sent by their company. 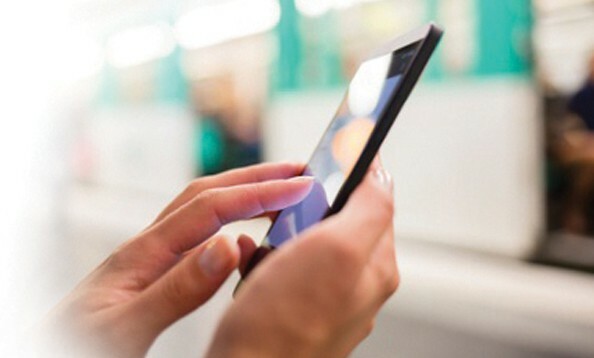 Even if the user in the group does not have a smart phone – he/she will get an SMS summary of the content and a unique link clicking on which he/she will be taken to a responsive WAP site from where one can read the entire content without compromising on the quality. As of now, Mobcast has registered 3.5 lakh users on the platform across about 40 enterprise customers including Shoppers Stop, SBI, Sanofi, Cipla, and Filmfare of the Times of India Group among others. 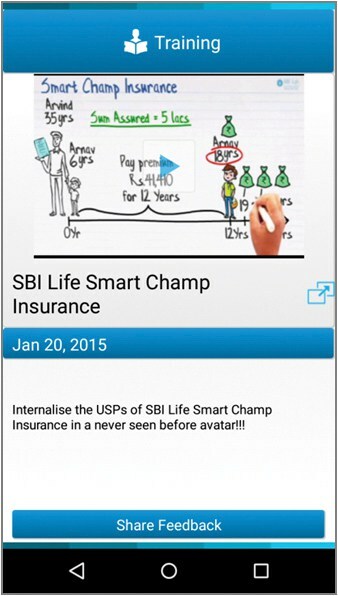 SBI Life has used the platform for product training of employees and insurance agents. Shoppers Stop uses MobCast to connect, engage, train and motivate their employees. Owing to the fact that India’s has burgeoning SMEs market, Mobcast will be launching a lighter limited feature version of MobCast for the SMEs. The startup is also looking to expand its offering in select six international markets. “To match our ambitions product roadmap and expand in international markets we will be evaluating external funding options soon,” said Ashwin. With HipChat, one can do video chat, send group messages, send 1:1 message, share files and integrate with over 50+ products, and more. The app enables one to collaborate with coworkers, teammates and friends around new builds, projects, campaigns and ideas, it lets one create unlimited rooms and one-to-one conversations. The platform also allows screen sharing capabilities amongst many other enterprise-specific features. For any enterprise, security is the primary priority. And this is probably of the primary reasons of why enterprises look for alternatives to WhatsApp. The platforms such as WhatsApp, Viber, Line, WeChat, etc are developed for personal use. Hence, these platforms lack that extra shield of security which enterprises do require. To ensure security, Mobcast has 2 factor login where an SMS is sent from the mobile device to check authenticity. The company stores the content in a format only readable by the mobile application so that is cannot be shared with people outside the company. When the person leaves the organization, the admin can remotely wipe all data from the user’s mobile application. Also, in most of these apps one cannot take a screenshot.